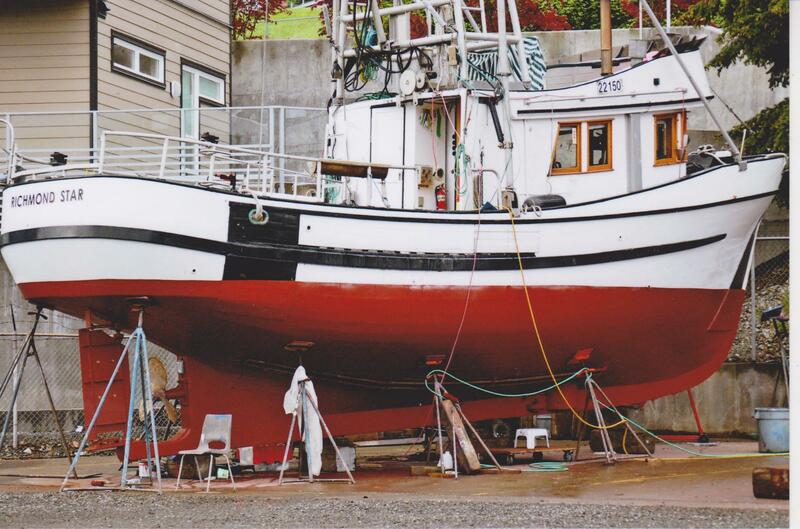 The Richmond Star is a 40′ by 12′ troller built by Ernie Wahl in 1977. Below are the few lines drawings of real troller hulls that I’ve been able to gather. 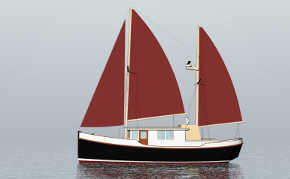 There are some shared features to these hulls, drag to the keel, a long parallel mid-section, and considerable reverse in the sections aft. 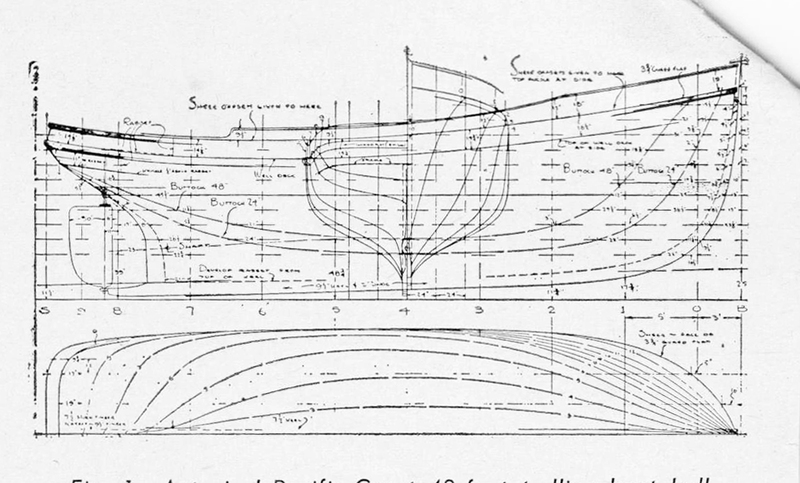 The sections are quite similar thought the boats vary in size and proportions. Good flair just under the sheer forward, vertical topsides midships with a hard bilge turn well under water, and considerable deadrise throughout. 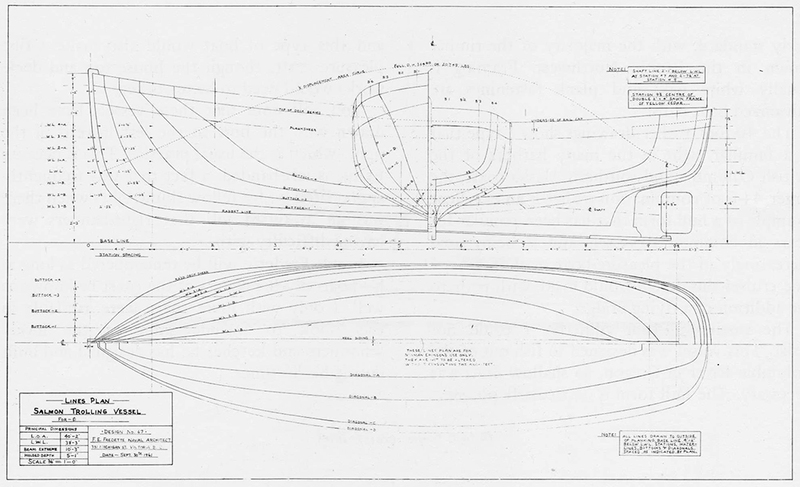 The first drawing is a 40′ troller drawn by Francis (Frank) L. Fredette of Victoria BC in 1961. 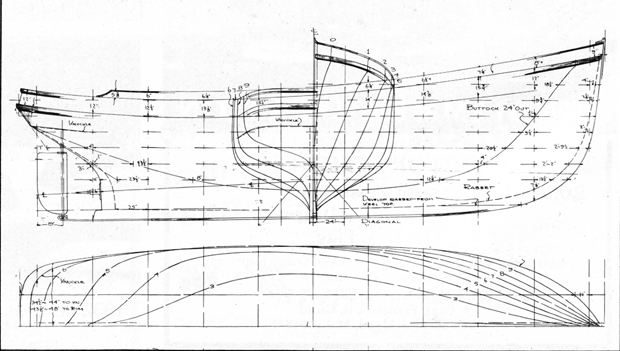 The boat is shallow, drawing only 4′6″ to her design waterline, and narrow with a beam of 10′3″. Design displacement is only 20,700 pounds. 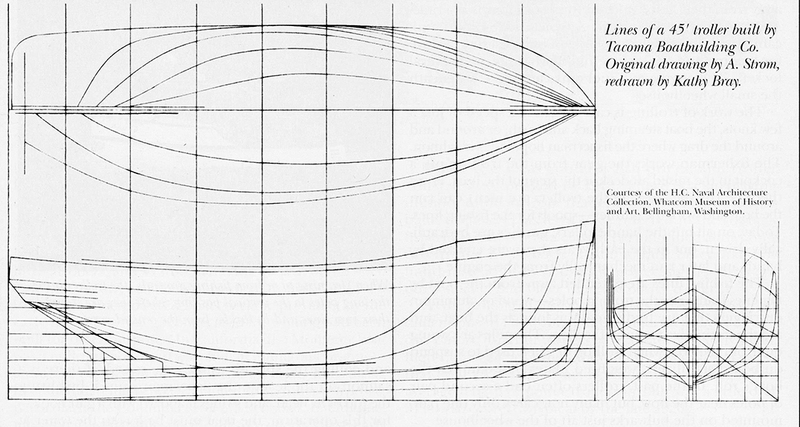 The next hull is far heavier and more burdensome than the lightweight Fredette boat. This is a 45′ by 12′ design from south of the border. 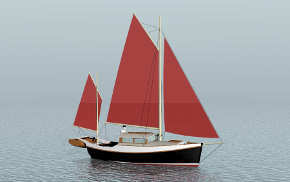 Next we have two boats by William Garden. 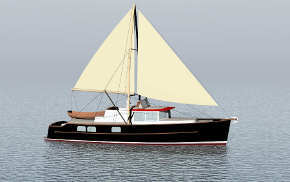 The first is 37′ by 10′, drawn and built in 1948, she shared Chrysler Crown gas engine power with the Fredette boat above. 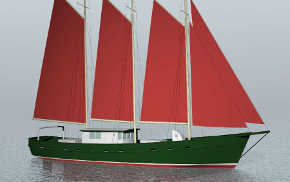 The last is a 48′ by 14′ design with half-load displacement of 80,000 pounds, almost four times the weight of the 40′ Fredette boat we started with.